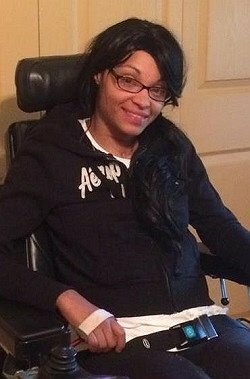 On Nov 26, 2016, Brianne suffered a life changing automobile accident that left her a quadriplegic. She has no use of her legs and limited use of her arms and hands. After 32 days in the ICU, six weeks at Kessler Rehabilitation Hospital, and four more weeks at Good Shepherd Rehabilitation Hospital, Brianne is now entering outpatient therapy. She has made significant progress, but has a long road ahead of her. Fortunately, Brianne still has her same outgoing and contagious personality. In spite of her many challenges she has shown amazing courage, and unrelenting spirit and determination to achieve all she possibly can. As you can imagine, there are many things that Brianne needs that are not covered by insurance. Home modifications are necessary to make her living space wheelchair accessible. Continued outpatient therapy will likely require private pay. In order to decrease muscular atrophy, improve local circulation, increase range of motion, and decrease spasticity, Brianne will also require a “bike” to exercise her arms and legs while sitting in her wheelchair. This bike electrically stimulates the muscles in the arms and legs. The anticipated cost for the “bike” alone is approximately $25,000. This presents a challenge that Brianne and her family cannot meet alone. To help with the financial burden of Brianne’s uninsured expenses, a fundraising campaign in her honor has been established with Help Hope Live, a trusted nonprofit organization that has been providing community-based fundraising guidance to patients and families for more than 30 years. All donations are tax deductible to the full extent of the law, are held by Help Hope Live in the Mid-Atlantic Spinal Cord Injury Fund, and are administered by Help Hope Live for injury-related expenses only. Please consider a contribution. Thank you so much for your support and continued prayers. Please know that your gift will be used wisely and will enable Brianne to reach her goal of returning to a productive, independent life. Thanks to all who came out to Jersey Mike’s in Flemington, NJ today for Brianne’s fundraiser. 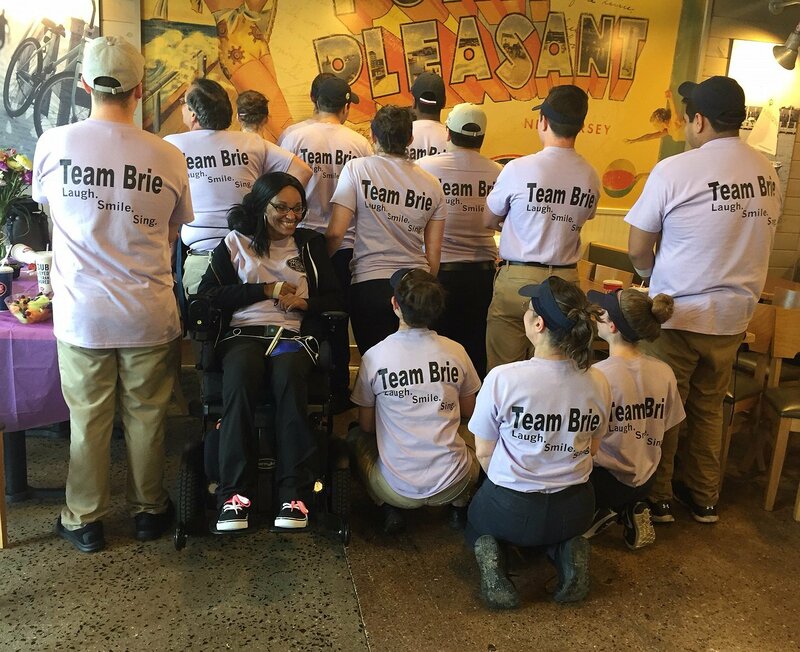 It meant so much to Brie to see friends and the many customers who have come to know her through Jersey Mike’s. Your support is truly appreciated. Brianne!! I was in tears when I found out about This! I went to your store tonight cuz me and my mom are working late at the bakery! I always knew we were gonna click just from that one time u helped me. I love you so much you're a strong woman you got this on lock many hugs and kisses girl! Brianne - We just heard of your accident. We always remember you being upbeat and smiling. Your picture shows you still project that. You are in our thoughts and prayers to continue to improve and get the support that you need. With peace and prayers, Mary and Steve Bernard. Brianne, we heard your story through our friends, the Salem's. And we want to wish you all the best in your journey of healing and recovery. Sending prayers and positive thoughts your way. Brianne, you have always had the biggest heart. Every time we came in to JM you welcomed us and aleays knew what me my brother and my grandmother wanted. We didnt even have to tell you. I want to thank you for all that you have done at JM and for all your friends family and customers you made happy. You are the best! Be strong! Brianne, I just heard your story today. I ordered from you many, many times at JM's and was always impressed by your positive spirit, kindness, and work ethic. Sending you every best wish for your continued healing and recovery. Thank you to everyone who has been here for me n contributed to my needs. My heart is huge n always has been n always will be. I love you all n thank you so so much! I have never met Brianne but the spirit that you speak of is evident in her smiles. Sending positive energy to her and the entire family as she continues her path forward. Our hope and prayers are extended for the entire Favier family. Hi Brianne, I couldn't make it to Jersey Mike's last weekend but Owen and I think about you a lot and miss you at the store. Left a little something for you at Help Hope Live. I hope you are keeping your spirits up. Brianne, We are just learning of your accident. We wish you a steady recovery and joy in the future. It was great to see you today Brie! I hope I will see you again soon. Keep up the positive attitude. Brianna, IDK how well you remember me from HCRHS, but you were always a beautiful, energetic, and free spirit. I'm so sorry this happened to you, and wish you a full and complete recovery someday. Stay strong. Though the end game isn't revealed to us yet, I know whatever it is that holds dominion over our universe will be there for us as long as we listen with a clear heart and mind. My grandfather and I wish we had more to give. You are still beautiful as ever and I wish YOU the best. We will try to make it out to your June 4th, Fundraiser at Jersey Mikes. You are stronger than you know, keep reaching for the stars, girlfriend. You are so loved! Your smile can rule the world!! "It is our choices ... that show what we truly are, far more than our abilities." Brianne, I wish you all the best in this campaign and pray that you get that bike! I see lot's of determination in your lovely smile so I expect to hear good news and progress in the days ahead. Sending our love and prayers from NC. You are on your way, don't ever give up, keep your head high. So proud of you!! !